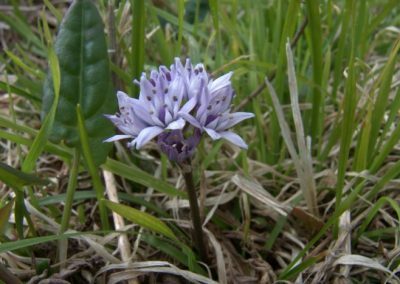 Explore the long lost land of Lyonnesse, enjoying the best of the spring wildlife. 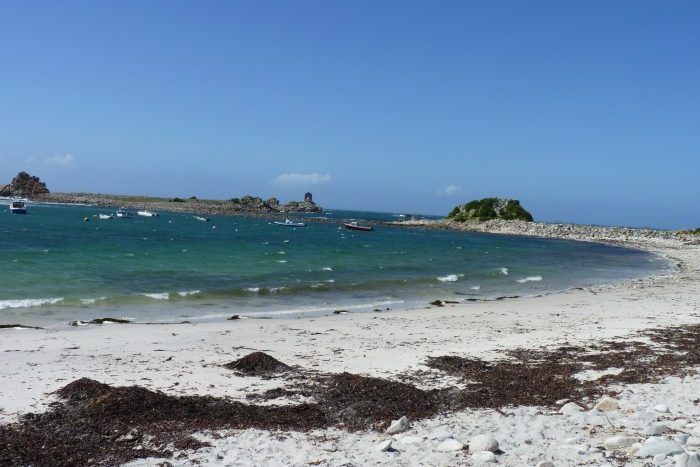 Once believed to be the lost land of Lyonnesse, the beautiful Isles of Scilly lie just 30 miles due south west of the Land’s End Peninsula. 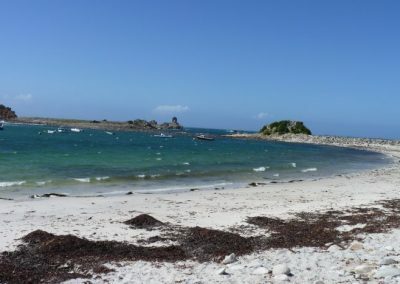 Under the influence of the Gulf Stream, the islands have an equable climate with very mild, frost-free winters, so many Scillionian plants and animals are species that have a more southern, even Mediterranean distribution. Exotic plants from other parts of the world also grow in Scilly, so in places you might think you had wandered into the Eden Project! May is a perfect time to explore the islands; spring flowers will be at their best, seabirds will be nesting and northbound bird migration will be at its peak. 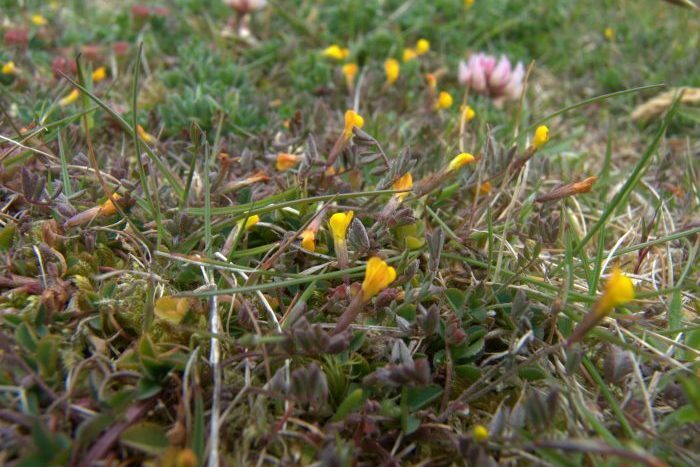 We will walk from unspoilt coves to dazzling white sand beaches, across springy areas of ‘waved’ heathland, past tiny fields ablaze with corn marigolds and through wetland nature reserves. 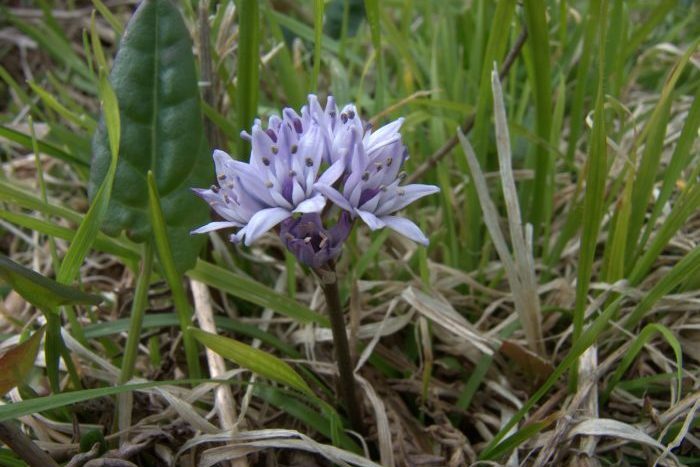 There are many archaeological sites, and some of those we will visit are also rich in wild flowers. The islands support a unique flora with links with the Lizard Peninsula of Cornwall, northwest Europe and the Mediterranean. 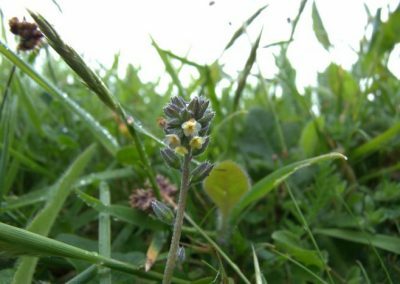 There are also many introductions which thrive alongside the native plants and a very interesting arable weed flora in the bulbfields. Although there are few species of land birds, seabirds will be nesting in May and in Scilly you never know what could turn up. The marine life is fascinating with many unusual southwestern species and there are many special insects and other fauna. To complement the wildlife there are Bronze Age, Romano-British and later monuments on all the islands. 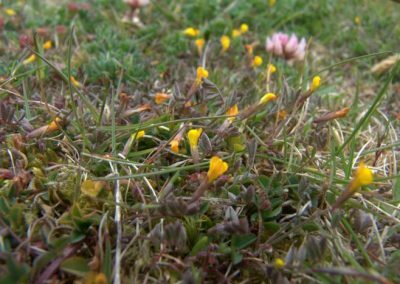 As a result of the islands’ designated status, such as Area of Outstanding Natural Beauty and the 27 Sites of Special Scientific Interest, many habitats are well preserved, such as heathland, coast and ’granite hedges’ which, sadly, have suffered on mainland Britain. Furthermore, many of the smaller islands, notably Tean, Annet and Mincarlo are uninhabited and provide wonderful shelter and breeding sites for many birds. Scilly is internationally renowned as a key place to see rare migratory bird species, with the islands providing a respite on many a long Atlantic flight! The isles are an important year round location both in terms of migrants and breeding species. In the shallow clean seas is a sparkling garden of jewel anemones, brilliant sponges and corals, surrounded by vast kelp forests and wild prairies of sea-grass. Tresco Abbey Garden is justifiably world renowned. 19 acres of winding, tree lined avenues, a dazzling array of species, as well as sculptures make this a must see on a visit to Scilly. 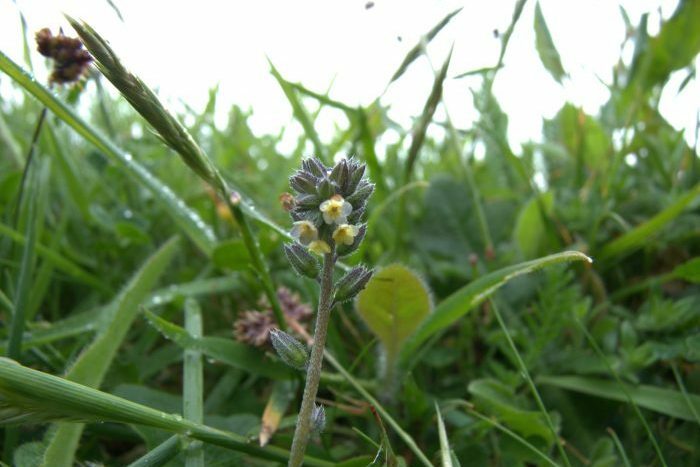 The 5,000 or so species that currently thrive here, were collected during the 19th Century from around the world by Scillonian master mariners, as well as from Kew Gardens. Return ferry from Penzance to St Marys. Local transport on excursions as specified in the itinerary. Seven nights’ accommodation bed and breakfast. Refreshments. Lunches and evening meals. Entrance fees (Tresco Gardens, museum Hugh Town, historical sites, evening talk). Gratuities. Travel insurance. Our leader for this trip is Rosemary Parslow, author of the Collins New Naturalist book on the Isles of Scilly. Rosemary knows the islands extremely well and is the botanical recorder for the area. 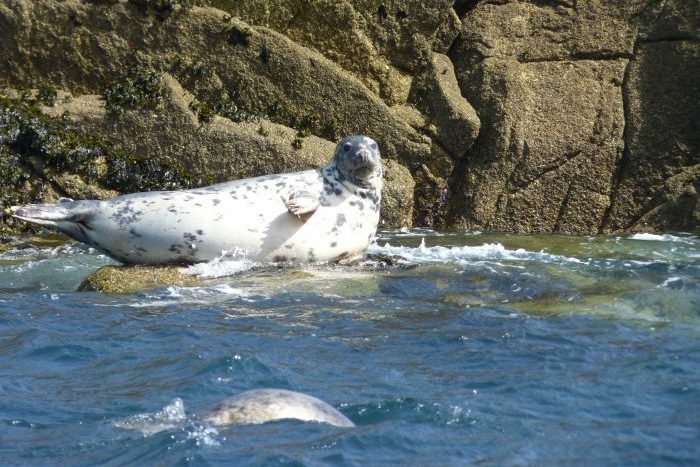 Travelling with Rosemary to most of the inhabited islands, this is a wonderful introduction to the wildlife of Scilly. Day 1 – We take the RMV Scillionian from Penzance to St Mary’s. The morning crossing can be interesting for sea birds and cetaceans. Day 2 – We visit the island of St Agnes, spending the day exploring heathland with fantastic granite cairns, and wonderful coastal scenery looking out towards the Western Rocks. Day 3 – We travel to the island of Tresco, very different from the others, with plantations of exotic trees and shrubs. We visit the famous sub-tropical Abbey Gardens. The island also has superb areas of heathland including one of the best examples of wind pruned waved heath in Britain. Day 4 – We visit the island of St Martins to explore its sugar-white sandy beaches, tiny bulb fields and dreamy views of the Eastern Isles. 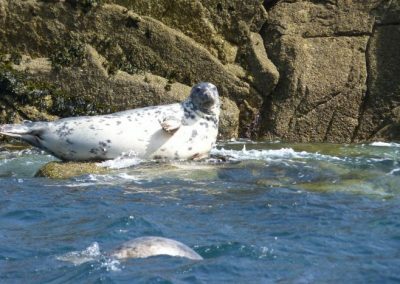 Depending on boat schedules, we may also be able to take a trip to the uninhabited eastern isles to see the seals and seabirds. Day 5 – A chance to spend the whole day on St Mary’s. We will walk some of the dramatic coast and visit at least one of the wetland sites and archaeological sites that are also important botanically. Day 6 – We visit Bryher, where we visit Rushy Bay to look at some rare plants, before heading along the cliff path to Hell Bay, where the dramatic waves breaking on the rocks can be spectacular. Day 7 – Depending on boat schedules, we may take another boat trip or revisit one of the islands for further exploration. Day 8 – We have the option of a free morning, a short local walk or a visit to Hugh Town to see the excellent local museum and the Garrison with views over the archipelago. In the late afternoon, we return on RMV Scillionian to Penzance. Mincarlo, our guesthouse, sits in a quiet corner of the bay on the waterfront, overlooking St Mary’s harbour on the eastern side of Hugh Town, the islands’ capital. Depending on the size of the group, we may overflow into another nearby guesthouse: if so, we will discuss this before you book. All rooms are en-suite. We will be staying on a B&B basis. In the evenings, we will be eating at local restaurants or pubs: the price of evening meals, and of our lunches, is not included, to allow you freedom of choice from the menu. Items for picnic lunches are available from local shops, or local cafes may be possible on some days. Local transport is by ferry, and some short local bus/taxi journeys from and to Hugh Town (as specified in the itinerary). We travel by ferry (Scillonian) from Penzance to Hugh Town, St Mary’s. The journey time is around 2hrs 40mins. There are two ferries on 6 May and we may take the morning one (departing 08.00), or the afternoon one (departing 15.00). We will advise you as soon as possible. Local transport is by the inter-island ferries. The islands are known for their mild climate. We can expect some sunny days but there may be rain, although there is usually less rain than mainland Cornwall. We will adapt the itinerary to the weather. We will be walking for most of each day, and the terrain is uneven and/or gently hilly in some places. We will walk at a relatively slow pace but may cover about 3 miles (or perhaps more) on some days. You therefore need to have a reasonably good level of fitness although none of the walks are strenuous. In some locations ‘facilities’ are scarce! You also need to be able to step into and out of the ferry boats that take us between the local islands so the trip is not suitable for those with limited mobility or poor balance. If you have any concerns on fitness, please talk this through with us before booking.